The issue of epileptic power supply to Ogun State may soon be over if the Light-up Ogun initiative by the state government and eight independent power producers succeeds. On Tuesday, the state government and the eight firms signed the Memoranda of Understanding that signalled the commencement of the $497.6m projects in different locations in the three senatorial districts of the state. According to the Secretary to the State Government, Taiwo Adeoluwa, the government will not commit any resources into the projects except the land, which will form its equity contribution, while the power producers and their technical partners will raise the funds to build the plants. The Light-up Ogun project is the brainchild of Governor Ibikunle Amosun, who is concerned about the challenges of epileptic supply of power to the indigenes and residents. Adeoluwa stated, “Ogun State hosts the largest number of major industrial companies in Nigeria; small and medium-scale forms the major entrepreneurship platform the state is known for. Both the domestic and industrial players in the state receive little or no power from the national grid. Taking advantage of the full liberalisation of the power sector by the Federal Government, the state government invited bids from independent power producers interested in generating off-grid and embedded electricity of between one and 20 megawatts. Twelve power producers submitted bids and after careful evaluation by the Ogun energy team, eight of them were selected and given specific areas of the state to set up clean energy plants and light up. Under the Light-up Ogun project, the government is aiming to light up the state by bringing efficient and uninterrupted power supply to strategic areas of the three senatorial districts of the state, with the facilities coming with a metering system. The project is to concentrate on industrial locations where independent power plants will introduce possible embedded facility to most industries within the areas to serve mostly government hospitals, health centres, police stations and educational establishments. Earl Grey Nigeria Limited is to generate eight megawatts of electricity using natural gas, with the $25m plant to be located in Ogijo. The Managing Director, Earl Grey Nigeria Limited, Jumade Adejola, said, “We are here today because the governor has said he wants the whole of Ogun State to be lighted up. Come next year, we would have achieved it. “We will be covering Ogijo, Shimawa and other areas in the axis. We will be using gas to generate electricity. The plant will be built by professionals to ensure that residents are protected from gas hazards. It will be a very safe and secure site. The firm said that cinder blocks would be made from the ashes from the burnt waste, in addition to potable water. The company’s Group Managing Director, Ben Alabi, stated, “We are into converting waste to energy through combustion for the Adigbe area and the environs. We have carried out the analysis and we are confident that seven megawatts will cater for the whole of the area. The waste to energy plant that we are building in Ogun State will be the first of its kind in the whole of Africa, because to the best of my knowledge, there is no such plant in Africa. To power the machinery of government at the Oke-Mosan Secretariat Complex, Nikenando Energy Limited is to generate between 5MW and 20MW through Joule Box hybrid generator at a cost of $46.2m. Renaissance Impex Energy will expend $56m on a 48MW solar plant that will serve Ikenne, Ago-Iwoye and the Ewekoro Model School, with firm’s co-partner, Tunde Ogundeko, explaining that funds would be sought from the Bank of Industry and its partners abroad. The Managing Director, Sholep Energy, Olalekan Sogbesan, explained that the firm would be supplying five megawatts of electricity to the Ogun State Polytechnic, Ipokia and neighbouring communities from solar source and that it would spend $10m on the plant. Solonic Energy will generate 100MW from solar and supply it to the entire Ilaro area of the state, with the Chairman of the firm, Olu Adedoyin, explaining that technical partners from Germany would help to set up the $100m plant. The federal airport in Wasimi as well as Ewekoro area will benefit from the five megawatts solar plant to be built by Tido Tech International, with the Chief Executive Officer, Prof. Olugbemiga Olatidoye, explaining that the capacity would be scaled up to about 175MW later. While giving approval for the project, the Deputy Managing Director, Ibadan Electricity Distribution Company, John Ayodele, said, “We support the efforts of the government to light up the state. It is part of our vision to seek help and for Ogun State to start this project, they have our 100 per cent support. We are ready to partner within the confines of the law of the Federal Republic of Nigeria. The Commissioner for Justice and Attorney General of the state, Dr. Olumide Ayeni, stated that the state government had allocated two acres of land to each of the power producers as its equity contribution. “Every IPP should familiarise themselves with the laws on energy generation and distribution in Nigeria such as the Electric Power Sector Reform Act, 2005 and the Eligible Customer Relations Regulations, 2017,” he added. The representative of Momas Electricity Meter Manufacturing Company Limited said the firm was happy with the project and would provide accurate metering of energy supplied by the IPPs. 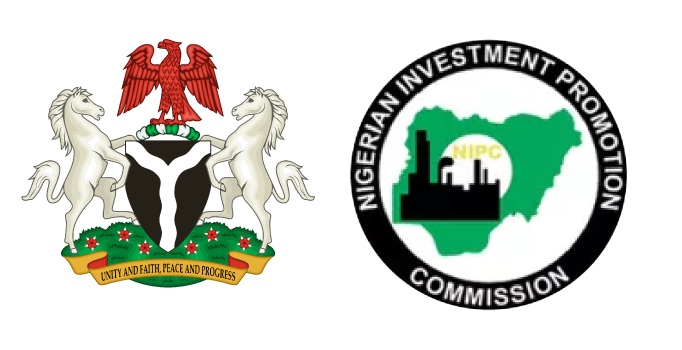 The Consultant to the Governor on Energy and Team Lead, Ogun Energy, Chief Akinsanya Fagbemi, told the IPPs that the government would not hesitate to review the agreements if after three months they failed to begin work at the various sites, adding that the Power Purchase Agreement and other details would be finalised in the weeks ahead.